My new friend Michelle bought me a cookie cutter, and as slim as the chances were it was one I did not have yet! 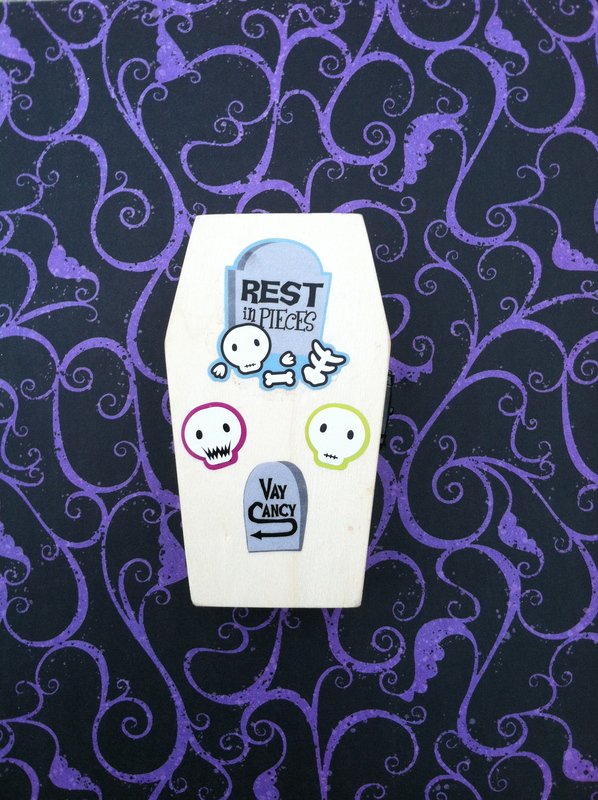 These cute little ghouls are made with my new ghost cutter. Thank you, Michelle! 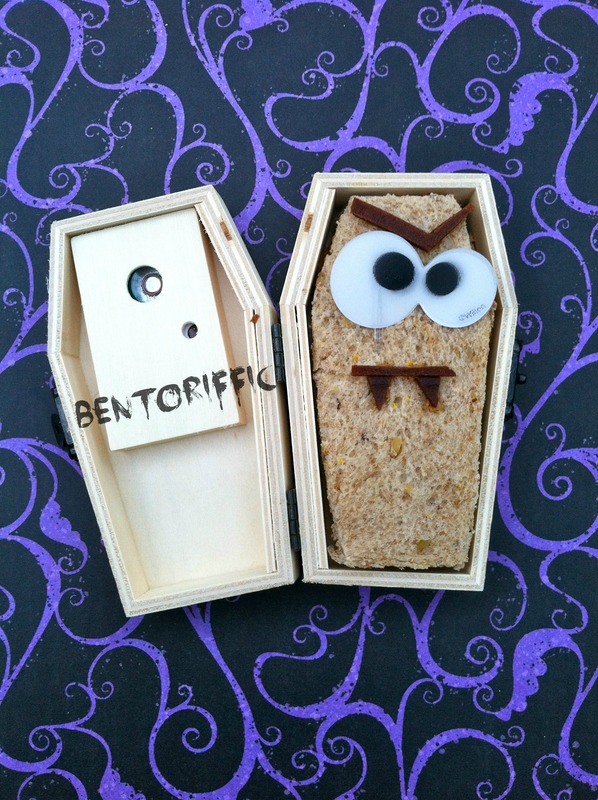 The sandwiches are made on Rudi’s brand whole grain bread with pumpkin pecan butter filling. The ghost picks just above are filled with grape tomatoes and a seckel pear is inbetween them. 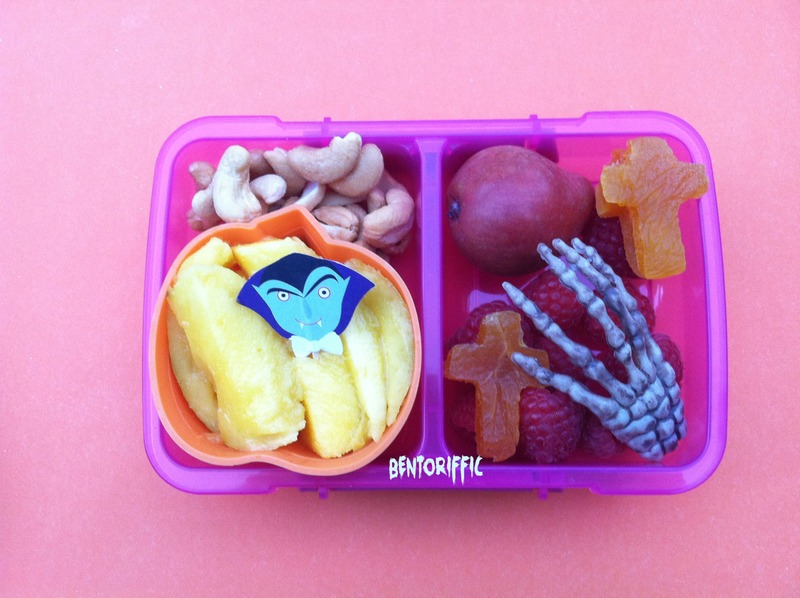 At the top left are cantaloupe chunks with a kiwi ghost on top and kiwi slices to the right with a happy ghost ring on top packed in Easy LunchBoxes. The Eat Wholly company who makes Wholly Guacamole sent me a variety of their awesome products to try. We were already fans of theirs. What makes their guacamole (and other products) even better is that there are no artificial preservatives or junk in their foods. Just freshly packed goodness. 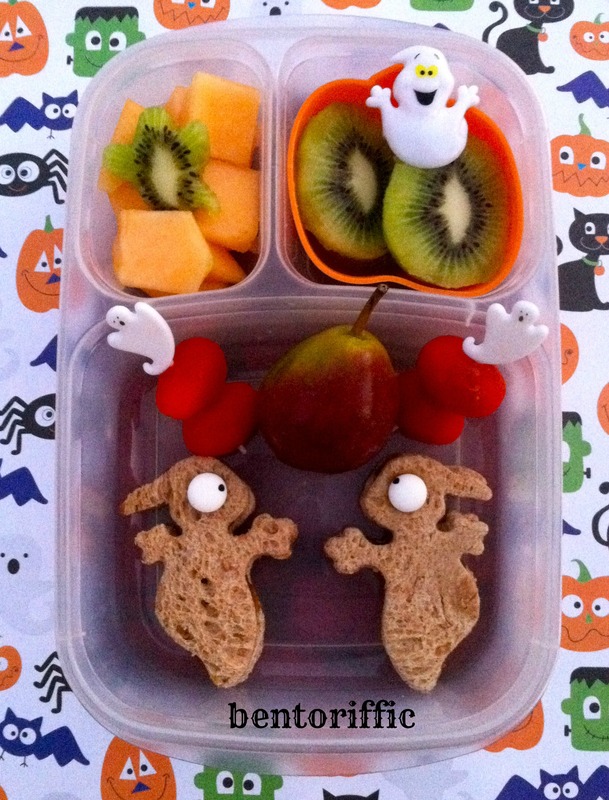 I love to freeze ours the night before since it’s thawed for the kids just in time for their lunch. 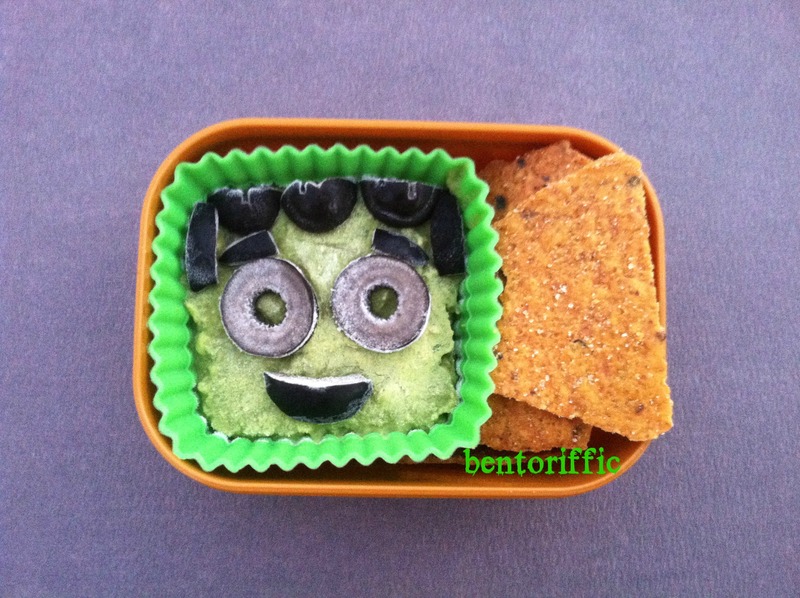 My 4 year old today had a Frankenstein snack with black olives for the face and chips for dipping in her snack bento. Little Miss 2 year old has an army of friendly ghosts in her LunchBots Quad. 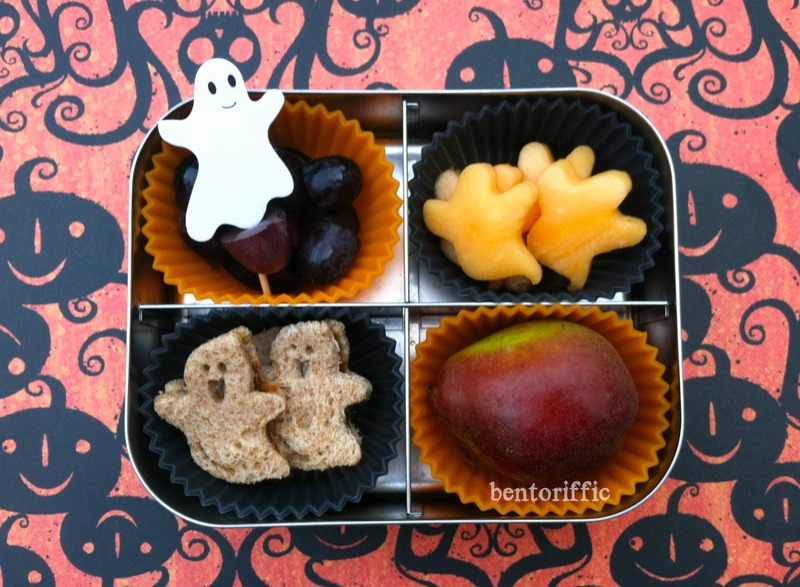 From the top left are black seedless grapes, cantaloupe ghost pieces, a seckel pear at the bottom right and mini ghost sandwiches made with a small cookie press. 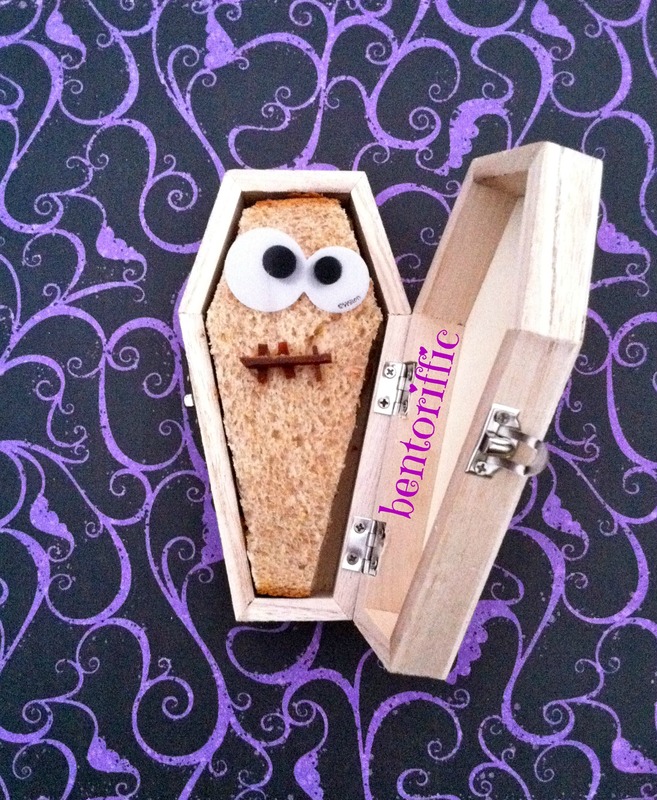 The sandwiches are Rudi’s brand whole grain bread with pumpkin butter filling. 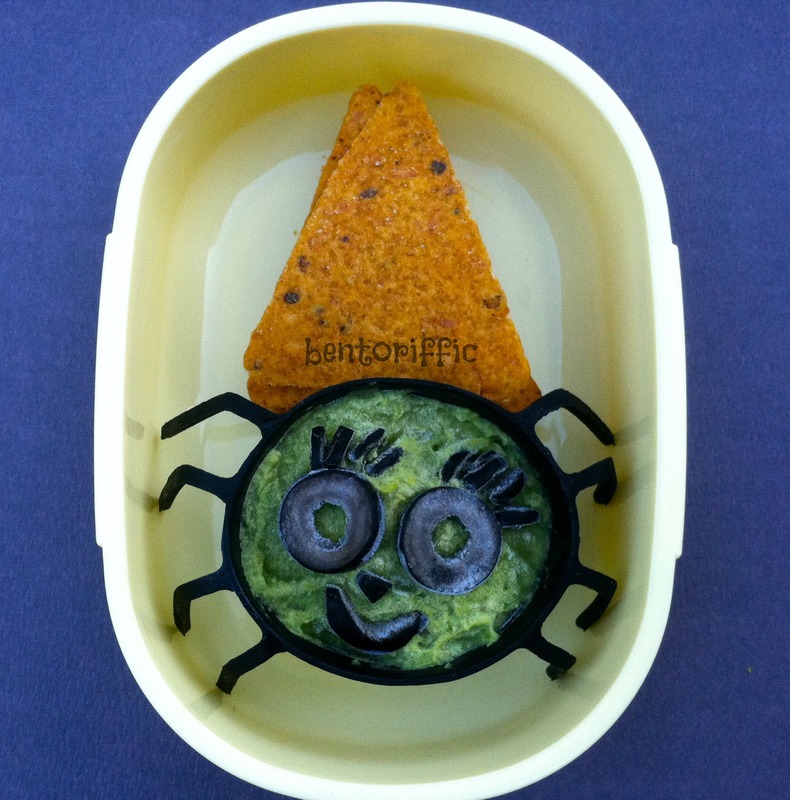 For her snack, Miss A had a similar frozen guacamole spidery witch with black olive features. I really meant for it to be a happy witch with the chips for a hat, but it looks more like a cutesy spider to me now. Either way, I know it will get eaten. 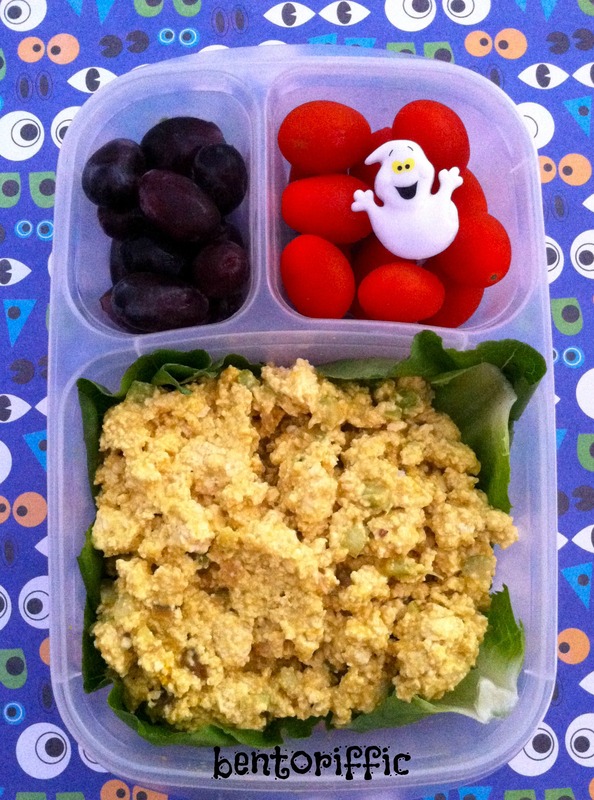 My husband’s lunch is far less festive, but I managed to sneak a ghost ring into his Easy LunchBoxes container today. 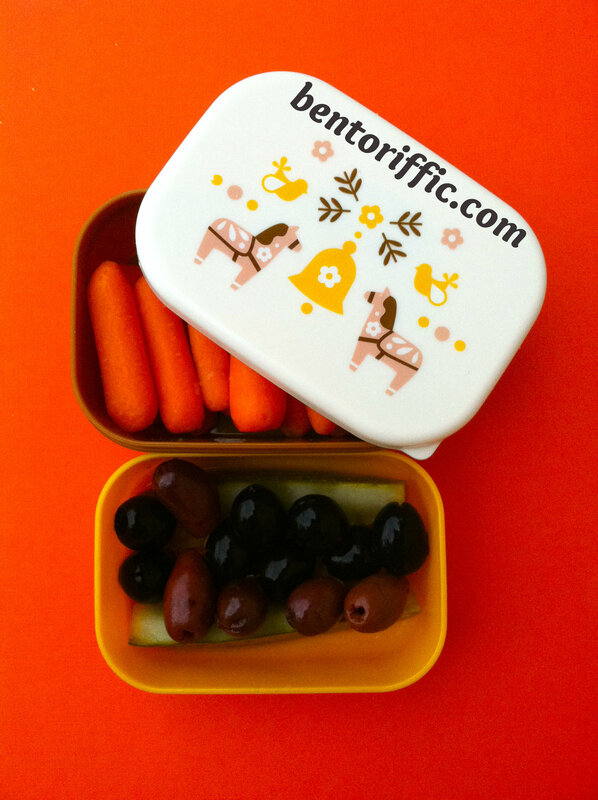 He had the Happy Herbivore’s Eggless Salad today. You can find her recipe for Eggless Salad here. It’s made with tofu, packed full of flavor, calcium and protein, and I actually think it’s better than any egg salad I’ve ever had.I packed the salad on top of the lettuce and sent the bread separately so it didn’t get soggy before he ate it. We celebrate Easter in our house. Like many parents, I think candy is ok in very small doses. I am not a fan of filling up a giant basket of junk that sends my kids spinning like tops for hours afterwards. We chose pretty woven baskets to be reused every year. I happened to pick these up at Michael’s. We leave our baskets and our eggs out every year to be hidden, and in the morning the hunt for them. 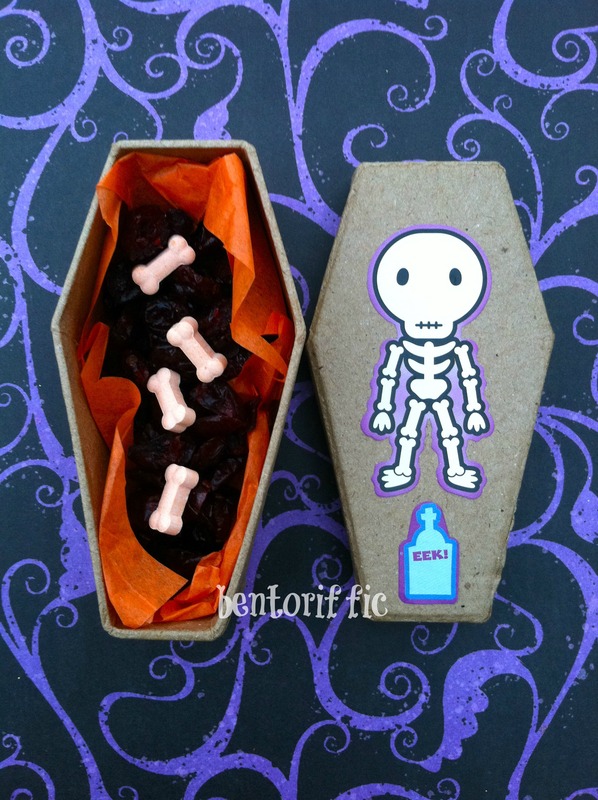 This way we re-use the same things every year, and it’s more of a fun game than about the candy. 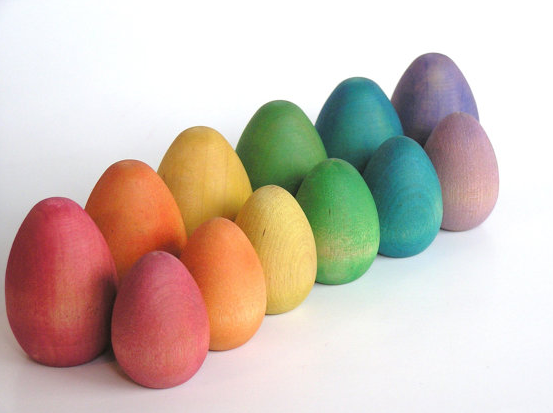 If you’re still a fan of the plastic eggs, why not try something new? 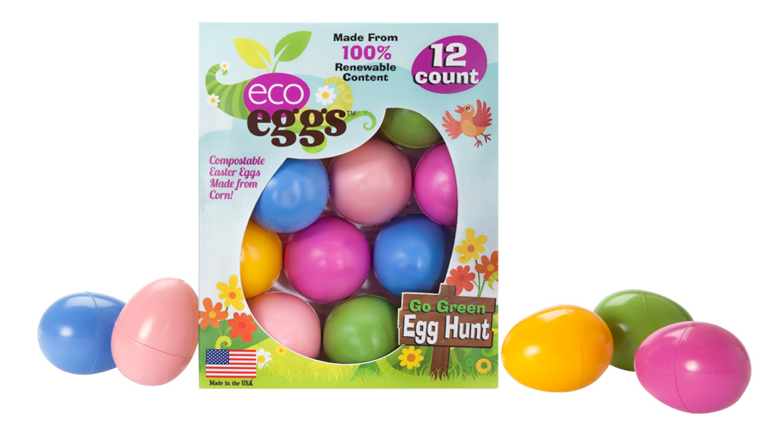 These eggs are made from corn, are biodegradable and compostable. These options may seem a bit pricey, but if you never have to buy them again it may actually save money over time. 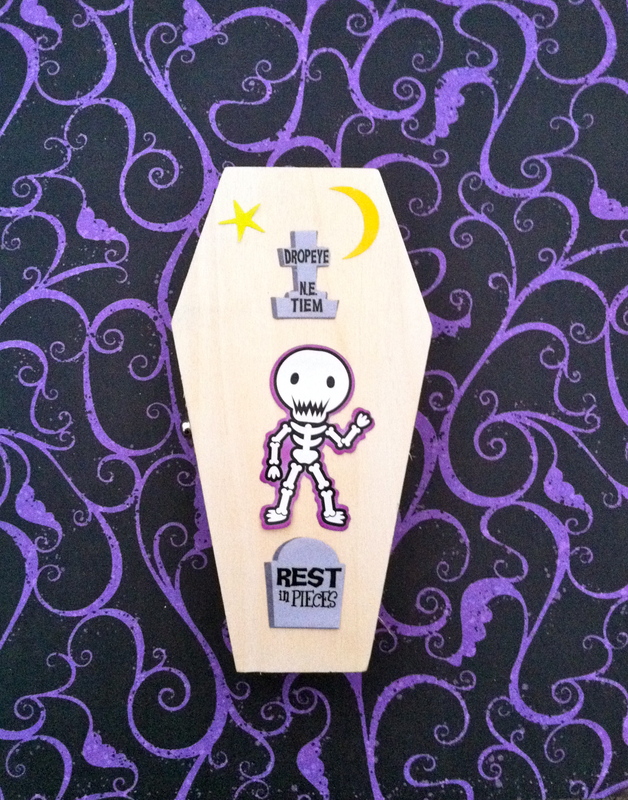 At least you don’t have to worry about toxic chemicals in your little one’s mouths. All that being said, I am still realistic. My kids want to get fun Easter things. This year I decided to put new bath towels as their bigger gift from the Bunny. They were in need of new towels, so why not make it a gift? My kids will be getting new bath towels and matching wash cloths Kohl’s, Target and Cost Plus World Market all have cute kid towels that you can find for girls and boys. 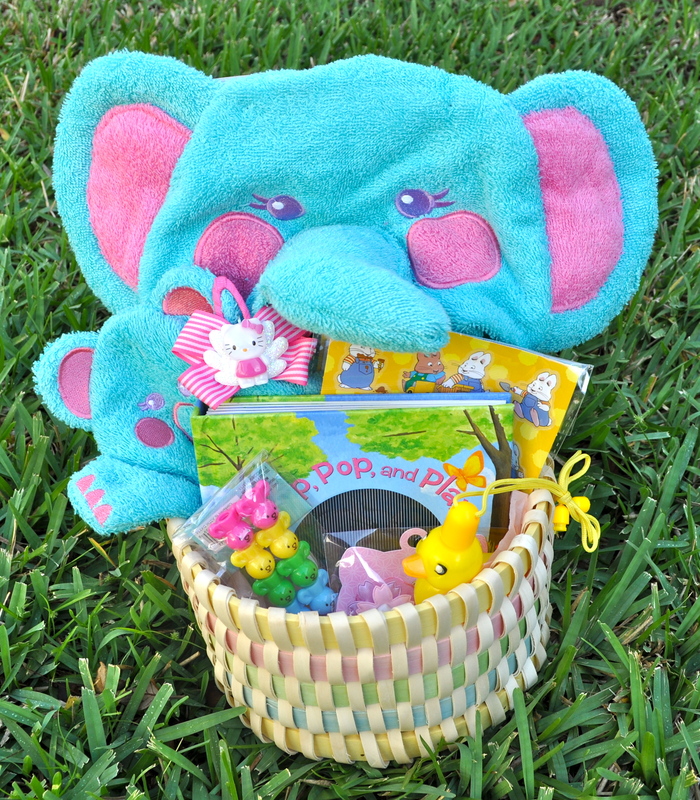 I also chose some small toys, stickers and books to fill their baskets. 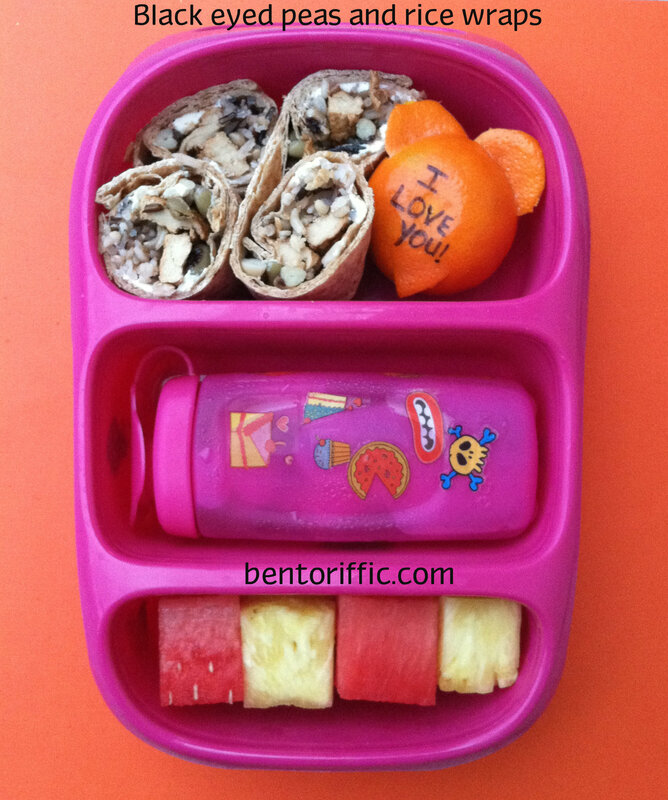 We feel like our kids have WAY too much stuff as it is so we try to keep it pretty simple. Miss G’s basket (just turned 4) contains a panda bath towel & wash cloth (Kohl’s), a new Pinkalicious book, a Hello Kitty pencil, a Hello Kitty hair bow (attached to wash cloth panda’s ear), Pinkalicious matching game, stacking crayons and duck necklace bubbles (both found in Target dollar bin), Max & Ruby stickers (not shown but also from Target dollar bin), and a Hello Kitty utensil set. 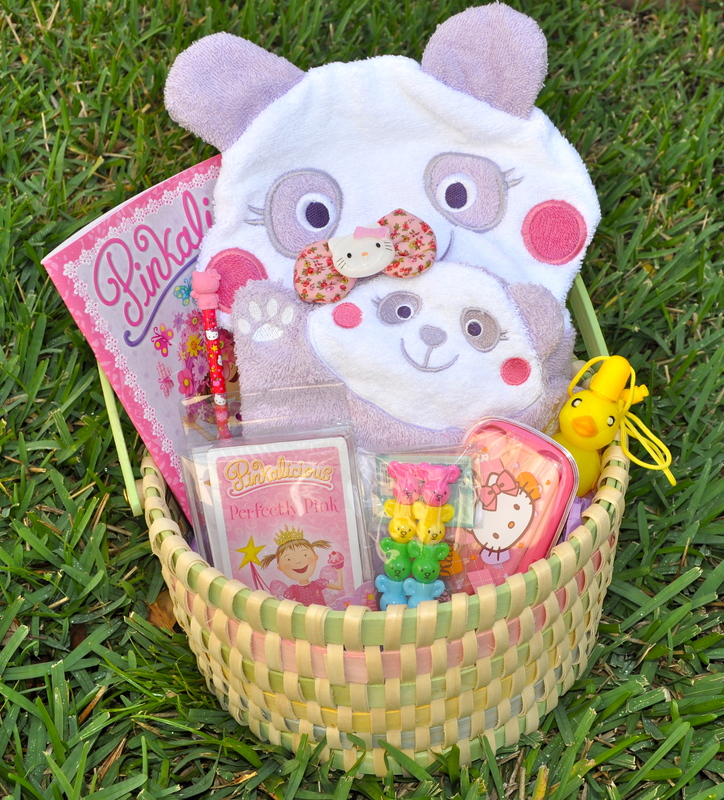 And Miss A’s basket (just turned 2) has an elephant towel & matching wash cloth (from Kohl’s, Hello Kitty hair barrette, stacking crayons, Max & Ruby stickers and duck bubbles (again, Target dollar bin) and a fun Easter book. Try your local Dollar store too for fun, non-food spring gifts. I also saw some great ideas for egg stuffers if you want snacks in them like homemade mini muffins, bite size granola, small fruit bars (LaraBar makes healthy ones with no additives!) organic gummies and even dried fruits. 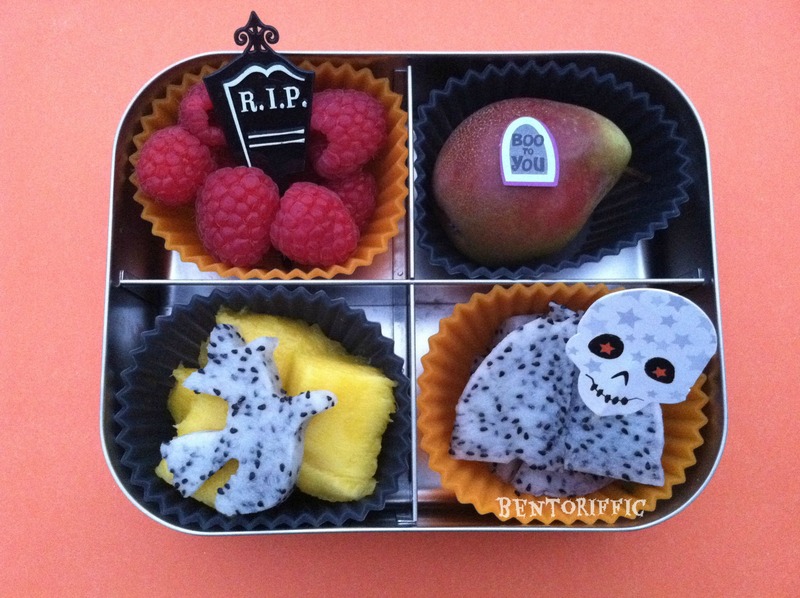 That way your kids won’t be overloaded with unhealthy candy. I hope that this spurs some healthy ideas for spring baskets. Happy Spring everyone! 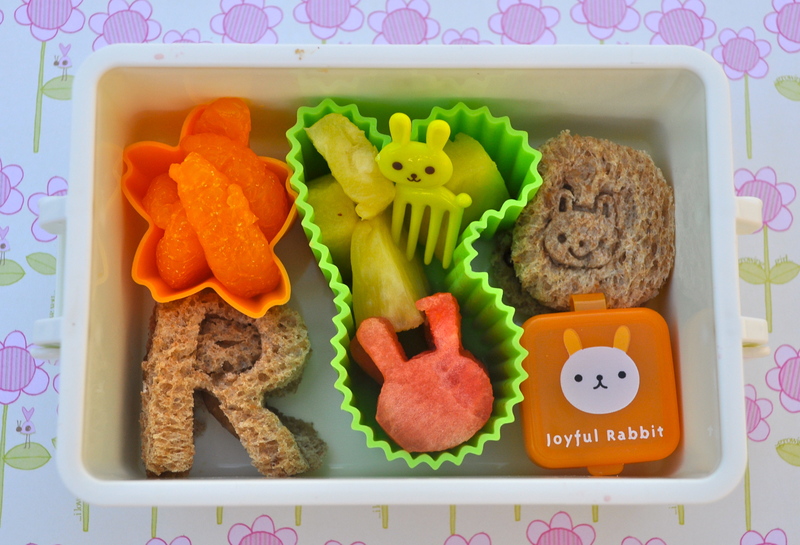 After a week or so of elaborate lunches, the girls get something simple. Mom is just plain tired! 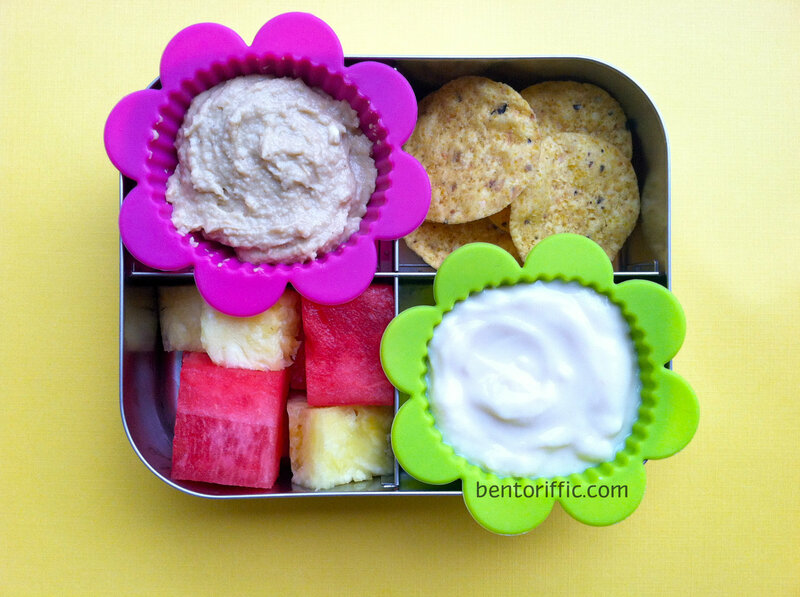 They both had hummus cups with heart sprinkles in them for fun with braided whole grain pretzel sticks. 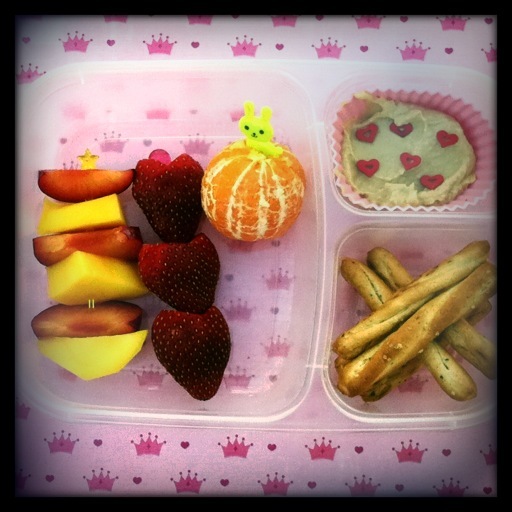 Miss G’s Easy Lunch Box has mango and plum skewers on the left, heart shaped strawberries and a clementine orange with a bunny pick. 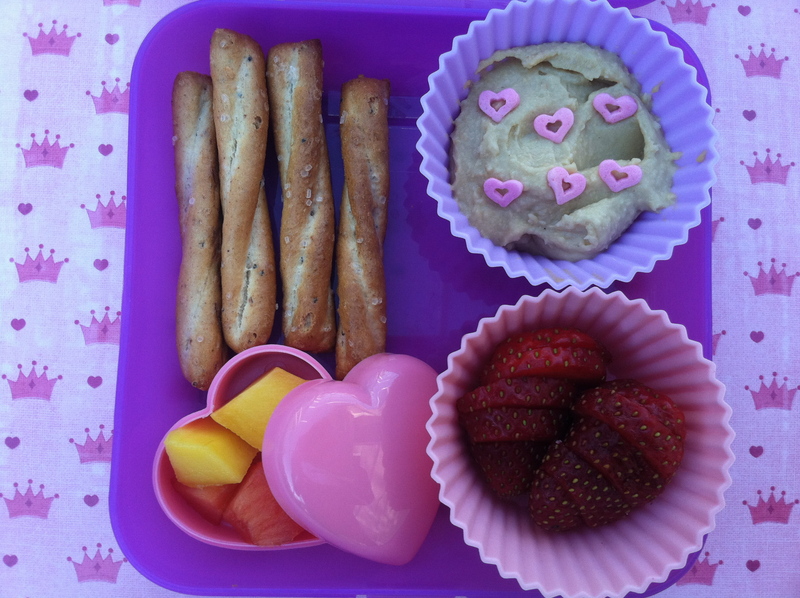 Little Miss A had the same hummus cup with sliced strawberries in the pink cup and in the pink heart container are small plum and mango chunks. 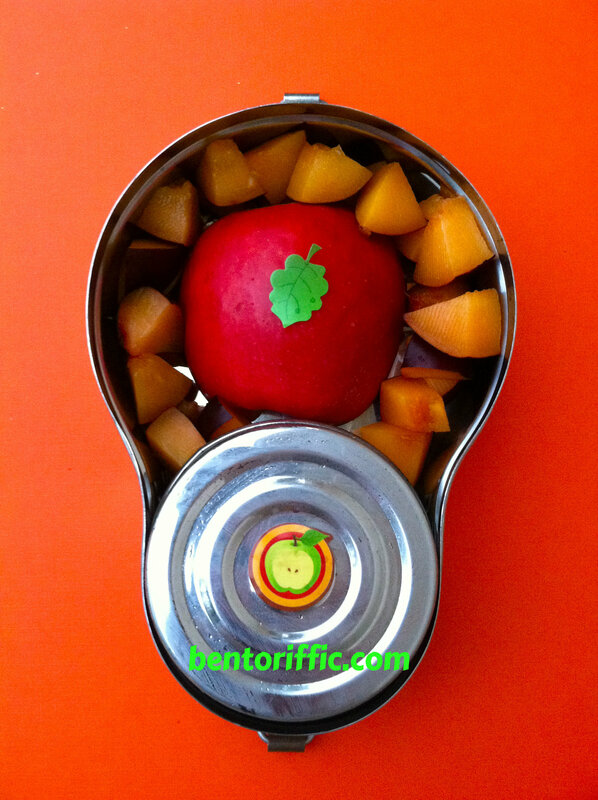 Her lunch is in a Crocodile Creek sandwich container. Both girls had ice water with their lunch. 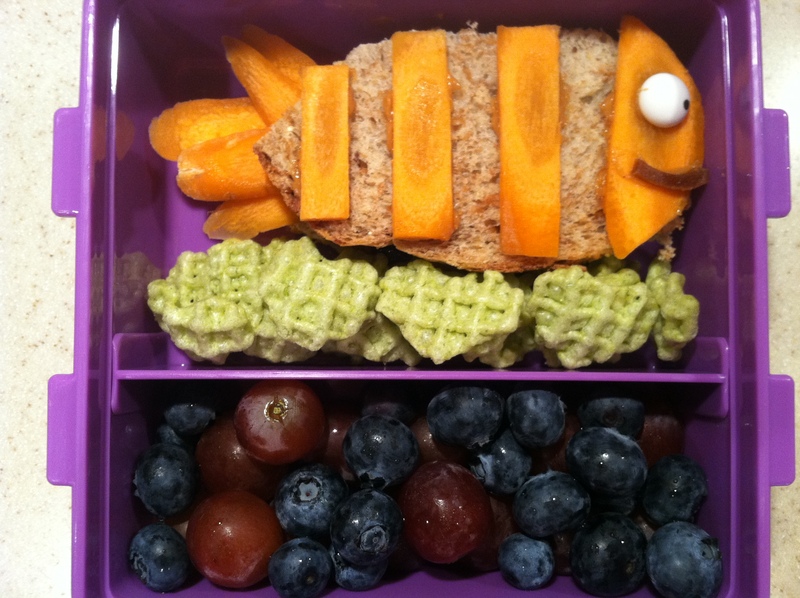 Miss G requested a fish this morning so I used the template from http://funkylunch.com/gallery.htm. The cookbook that he has is great because it is simple and uses ingredients that most people have already in their refrigerators. I made a sandwich and then sliced a large carrot with a mandoline and cut the slices to fit. 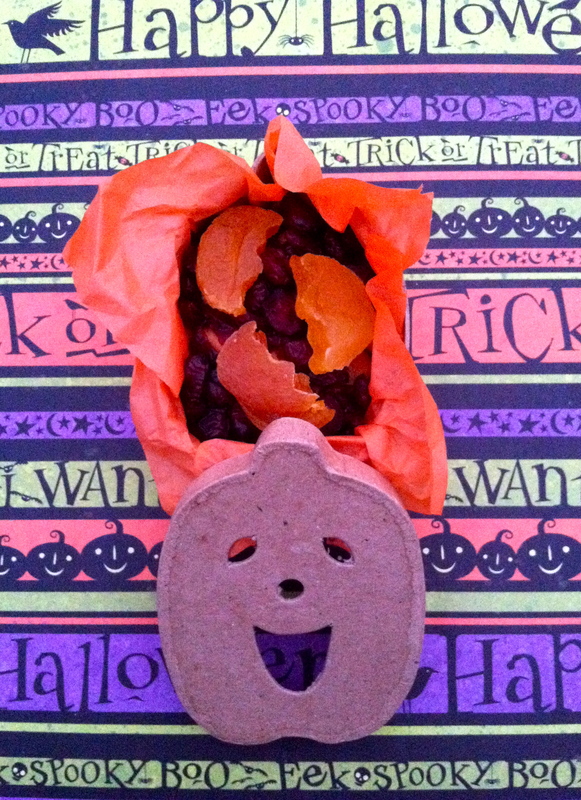 The eye is the premade royal icing eye and the smile is made from fruit leather. Underneath the fish are heart shaped green crisps from the asian food store, and the bottom portion is red, seedless grapes and blueberries. Little Miss A went for her second day today. 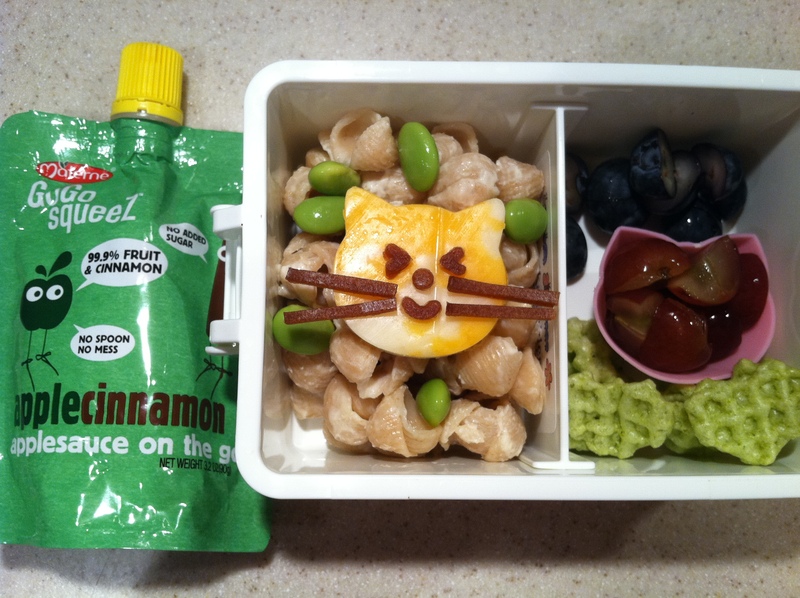 Her lunch was leftover Annie’s Organic Macaroni Shells with edamame topped with a cheese cat and fruit leather face. 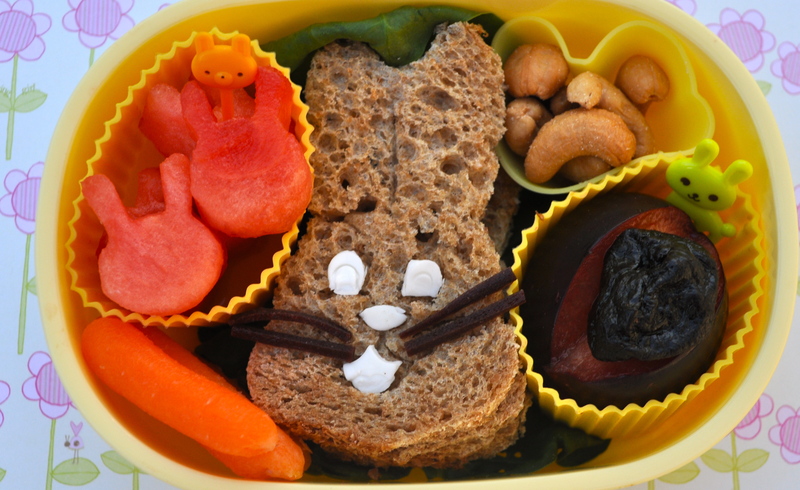 She also had sliced blueberries, red, seedless grapes in a silicone cat cup and the same green crisps. She also had a Lifeway kefir pouch and a GoGo squeez applesauce pouch.